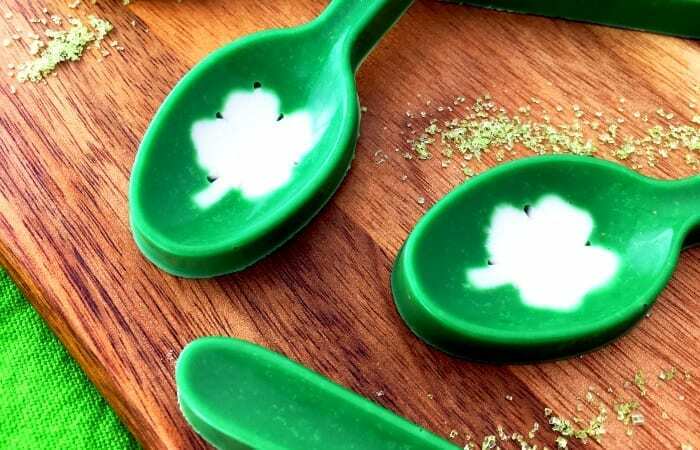 Fittingly enough, the first thing you have to do to make these lucky spoons is to make the four-leaf clovers! Take your white fondant and knead it into a ball. Using a fondant roller if you have one, or a regular rolling pin if you’re not about all that fancy stuff, flatten out the fondant into a thin layer, about 1 inch in height. 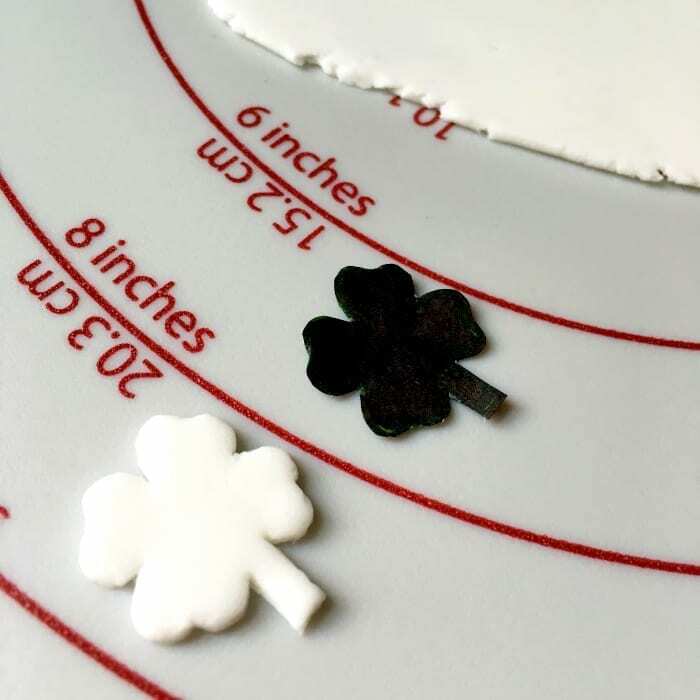 To create the world’s greatest fondant template, use a knife or those really cool fondant tools, if you have them, to create a four-leaf clover like the ones pictured. 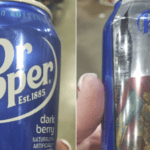 Or use your imagination. It’s a four-leaf clover, not a Picasso. 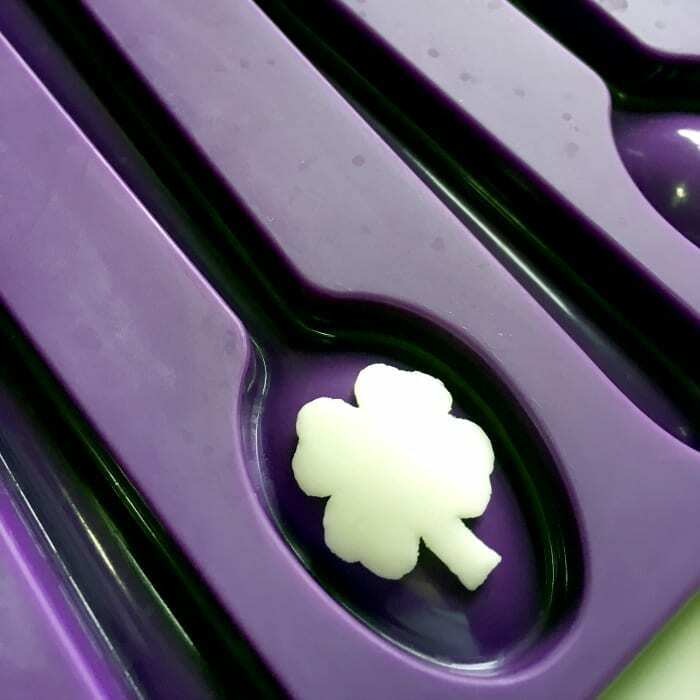 Use your template to cut out more clovers until you’ve got eight total. 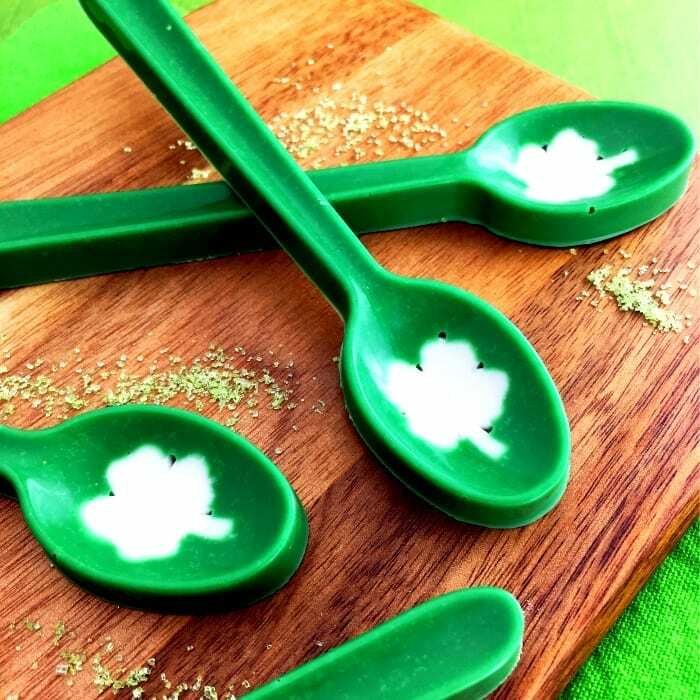 Press the clovers into the bottom of each spoon mold – make sure they’re secure, or your spoons are going to look like you were celebrating St. Patrick’s Day a little too hard when you were making them. Now, let’s make this process a little hotter. By which I mean it’s time to melt those candy melts! You can use a candy melting pot if you have one, but it’s just as easy to do this in a microwave. Heat them up at 50% power for 30 seconds, then stir, then repeat. 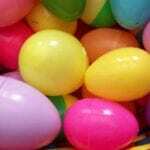 Then continue the same process in 15-second intervals until the candy melts are completely smooth. Don’t overheat them, or things start getting lumpy. 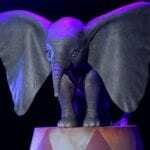 You wouldn’t like it when things get lumpy. 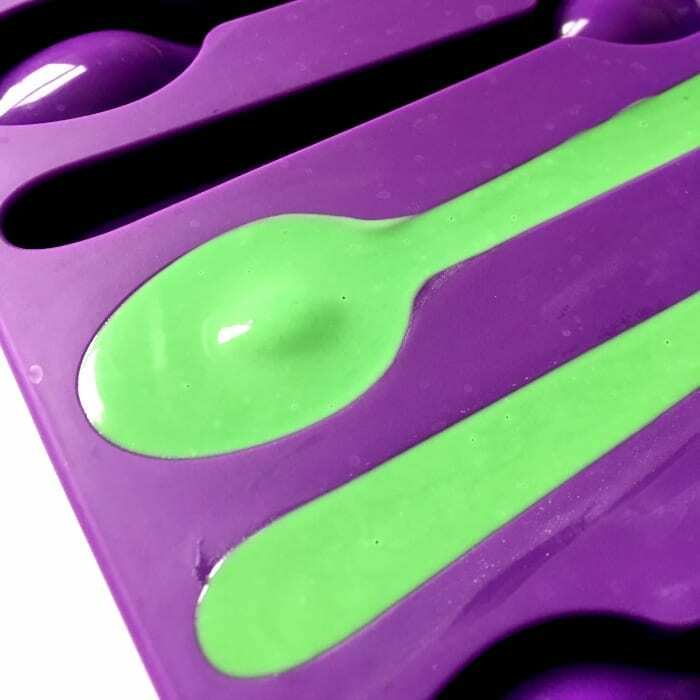 Once you’re all nice and melty, pour that green gooey goodness into the mold, filling each spoon up to the top. Place the mold in the freezer for 20 minutes. When they’re completely set, pop the spoons from the mold – be careful to lift at both sides so that the spoon doesn’t break. 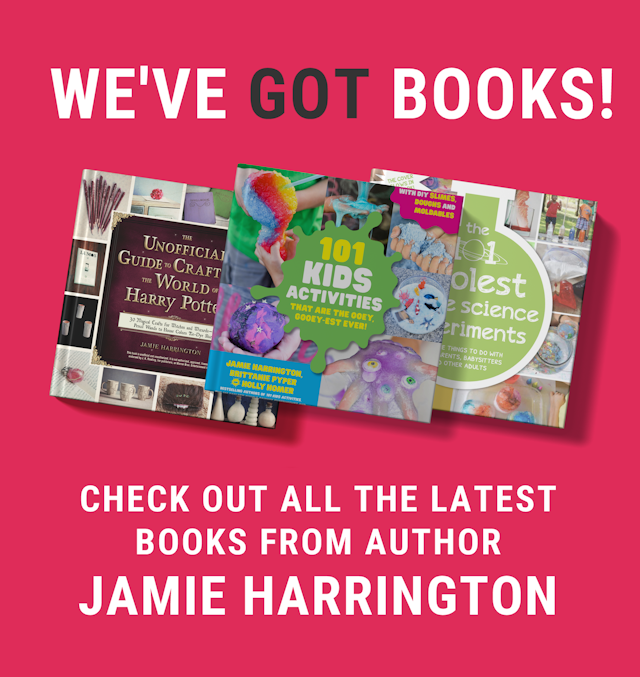 You can serve these with hot chocolate, dessert…or with a nice Irish coffee!